Pixar is living proof that too much of a good thing can be bad. One would think after “Cars 2” the studio would go back to original films, but between “Monsters University” and the upcoming “Finding Dory”, this doesn’t appear to be the case. “Monsters University”, the 14th film by Pixar, tells the early story of Mike (Billy Crystal) and Sulley (John Goodman) as college students studying the art of scaring. 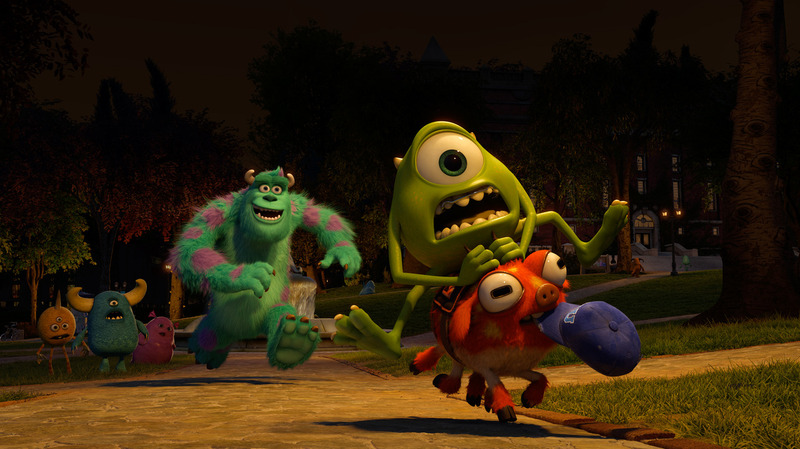 The first act of the film focuses on Mike’s journey to Monsters University, as he has always wanted to be a scarer since meeting one as a young, marginalized child. During his studies under Dean Hardscrabble (Helen Mirren), Mike comes across Sully, a stereotypical college slacker who is riding his father’s scary coattails at the school. Around the time that these two meet, the film turns into a “Revenge of the Nerds”-type competition when Mike and Sully are forced to compete in the Scare Games with the unpopular fraternity, Oozma Kappa. Most of the humor found in “Monsters University” is, unsurprisingly, from how college life translates to the monster world. From the orientation process to greek life to even how uncool your parents are once you set foot on campus, the film cleverly makes it all fit a world where scaring children each night is the bread and butter of energy infrastructure. Though Billy Crystal and John Goodman both return to their roles as leading men (as if anyone could replace those voices), one of the film’s problems is that most of the laughs don’t belong to either Mike or Sully. Crystal and Goodman both coast their way to an easy paycheck while smaller characters carry the comic relief on their backs. The Oozma Kappas are highlighted by hippie Art (a very funny Charlie Day), non-traditional student Don (Joel Murray, from early seasons of Mad Men) and the Squibbles (Peter Sohn and Julia Sweeney). The oddball humor of these characters is really what saves the film from a future in the discount bin at WalMart. “Monsters University” is a pleasant film that is safe for families visiting the theater, but there was a time when Pixar was known for aiming so much higher than that. The story is very safe and, aside from the ending, entirely predictable. One aspect of the Pixar brand that is evident here, however, is the incredible quality of animation. Compared to films that were coming out just a few years ago, “Monsters University” makes the gap in technology appear a decade longer. It’s exciting to see where animated films are taking us and that’s really the best thing that can be said for “Monster’s University”. I’m hoping to post reviews for “The Heat” and “The Lone Ranger” here in the next week or so before I head out of the country for a little bit. Check back later this week and see what’s going on! Just when you had forgotten about The Walking Dead, the zombies pull you back in. One of the many zombie-related books to be released over the last few years is Max Brooks’ “World War Z”. Although I actually own Brooks’ previous book, “The Zombie Survival Guide”, I never got around to reading the book this film is based on. Turns out that was probably for the best, as the film takes more than a few liberties. Brad Pitt stars as Gerry Lane, a former United Nations investigator, who is forced to discover the source of a deadly zombie virus after it wreaks havoc on a worldwide scale. While his wife (“The Killing”‘s Mireille Enos) and children are safely tucked away on a rescue vessel, Gerry travels to South Korea, Israel and other destinations tracking down any possible clues on how to beat the virus which has already killed billions. There are certain expectations that come with making a zombie movie, one of which is the need for gore. While blood certainly isn’t needed for suspense or even action, a film about the undead pouncing on innocent people and biting them kind of lends itself to that expectation. In what can only be called an effort to maintain a PG-13 rating, “World War Z” is almost completely without any gore. The only scene I can remember involving any kind of bodily fluid is when a zombie’s bloody spit ends up on Brad Pitt. Director Marc Forster (“Quantum of Solace”) tries to do his best with these kid-friendly limitations, but it makes certain scenes a little harder to comprehend. One such scene has Gerry cutting off the arm of a soldier in an effort to stop the spread of the virus, but it’s not until a minute later that the audience fully understands what just happened slightly off camera. “World War Z” never spends too much time in one place as Gerry seems to be only minutes ahead of the zombies in each of his locations. It’s almost as if his arrival is a beacon being lit for the local zombies to attack. This rushed feel throughout the film is somewhat exhausting because we never get to enjoy an environment fully before being whisked away on what feels like the next level of a video game. The good side to this approach is that the film has a large collection of secondary characters who are more interesting than Pitt’s Gerry. James Badge Dale, David Morse and the stunning newcomer Daniella Kertesz give the film an extra flavor to make Gerry’s travels more memorable. Though these characters are more interesting than the film’s protagonist, it is important to point out that Gerry is at least smarter than most people in zombie films. He often takes precautions that only the audience ever points out in tales of the undead. Although the film is a little too watered down, there are some genuine moments of suspense to be had. A plane sequence near the end of the film provides a setting rarely thought about in horror films. On top of Forster’s zombies running like Zack Snyder’s did in “Dawn of the Dead”, these guys lunge towards their prey like a predator in the wild. Most zombie films think small settings like hospitals or malls, but the global perspective of “World War Z” is a refreshing idea for a genre that is seriously lacking in most things fresh. As previously stated, the execution could have been better, but the film definitely gets points for originality in that regard. “World War Z” probably won’t please fans of the book, as it cuts out many characters and the horror staple of gore. Aiming for a large audience, the film makes for a decent night out, but sacrifices its true potential on the altar of the almighty dollar. What happens when two aliens fight over the future of the human race? Metropolis insurance companies lose. Seven years after the last attempted Superman film, DC and Warner Bros. have teamed up with Batman director Christopher Nolan and “Watchmen”-helmer Zack Snyder to bring a more mature addition to the Superman legacy. For years, Superman films have been lighter than Nolan’s recent Batman franchise. Perhaps a darker tone could benefit a series whose last “star” was Brandon Routh. “Man of Steel” follows the rise of Superman after his childhood in Smallville, Kansas and before his days at the Daily Planet. Moving from town to town, Clark Kent (Henry Cavill) searches for a place to belong. Eventually this leads him to a harsh winter climate where he comes across a ship from his home world of Krypton and the nosy reporter, Lois Lane (Amy Adams), investigating it. Shortly after this discovery, General Zod (Michael Shannon), an old enemy of his father’s (Russell Crowe), arrives looking for trouble. Aside from Clark, he and his followers are the last survivors of Krypton and they seek to build a new home on top of the ashes of Earth. Back in 2006, there were three main criticisms of “Superman Returns”. First, the film was too long/boring. Second, the villain was barely noticeable. Last, but not least, there was almost no action in the entire 154-minute film. Returning to the present, “Man of Steel” is basically getting put down in reviews for answering these same problems. I guess you really can’t please everyone. As “Superman Returns” was clearly an homage to Superman from the 1960’s and 70’s, “Man of Steel” has Zack Snyder bringing the character into the 21st century. This includes quality computer effects (something the Reeves films surely could have used), a plethora of fighting scenes and camerawork that would qualify as “kinetic”. In some ways, the film has a distinct similarity to Nolan’s first Dark Knight entry, “Batman Begins”, but has enough of its own flair to make the comparison mild at best. This Superman is darker (but not brooding) and focuses on the theme of Clark struggling to find his identity. Though the film has wall-to-wall action, there is a lot of heart in the scenes between Cavill’s Superman and his father, Jor-El, as well as his adoptive parents (Diane Lane and Kevin Costner). One of the biggest differences with this adaptation is how the Daily Planet figures into Superman’s early career. It isn’t until the end of the film that Clark assembles his goofy human persona of the news reporter. A more interesting and refreshing dynamic is found in Snyder’s portrayal of the Clark/Lois relationship, as Superman’s identity is less than impossible to determine. For those who enjoyed Hans Zimmer’s scores for the Christopher Nolan films “Inception” and “The Dark Knight Rises”, the composer puts together another incredible body of work here. Seeing the film in the relatively new Dolby Atmos sound design certainly made the WWWAAAAAAAAAAAHHHHHHHHHHHHH’s come to life for me. In addition to the score, the film is also elevated by the great performances from its cast. Crowe shines the brightest, but every character seems to be perfectly cast, perhaps save Amy Adams. 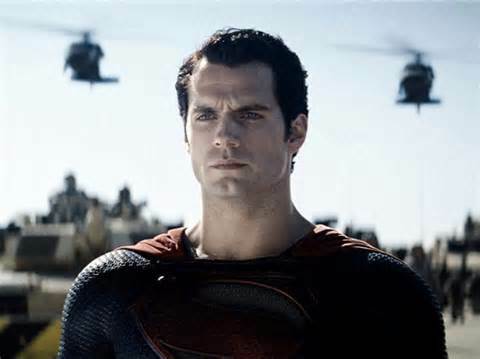 There was a lot for Henry Cavill to live up to, however his Clark/Superman was very enjoyable to watch. I look forward to seeing more of his mask at the Daily Planet in the sequel, but he delivers what he must for this installment. I could probably sit here and talk about the things I loved in this film for a while, so let me just cut to a couple of things I think future films could improve on. First, Snyder needs to tone down the movement of the camera. Sure, the action scenes look pretty good, but we don’t need a quick-pan-zoom-in-zoom-out in every single scene. I’m convinced the zoom button on the camera went through several replacements throughout the filming process. It’s fine to move the camera around, but don’t overdo it to where its movements are so noticeable they take the audience’s attention from the film. My second gripe, and I’m not even close to being the only person to bring this up, is that Superman needs to be shown saving a few more civilians. There is mass devastation to American infrastructure in this film, but it barely registers with our hero that other people might be dying. There are, of course, excuses to make for the fact that he is almost never shown helping someone while wearing his costume, but it’s still something to think about. This review has already run too long, but there’s a lot more to discuss with “Man of Steel”. Feel free to share some thoughts in the comments section so I can ramble on some more guilt-free. If you’re still reading this review, thanks for sticking with me. As he has been for millions of people over several decades, Superman is the savior of this summer season. After a few disappointing releases (and with only a handful of summer films to go), “Man of Steel” sits on the throne of the 2013 summer blockbuster season. 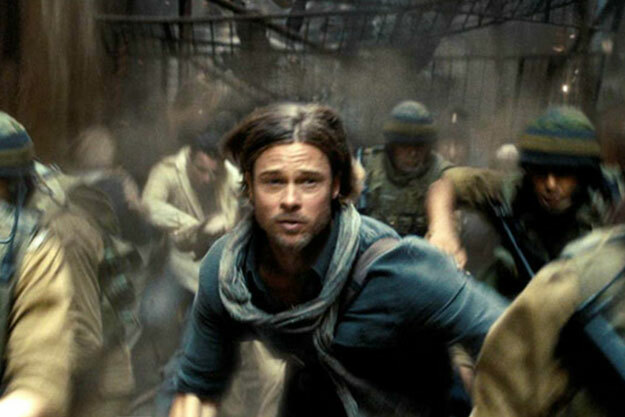 Later this weekend I’ll be posting a review for the Brad Pitt-starring “World War Z” so come back and check it out. Again, thanks for sticking around ’til the end of this long review. Happy viewing.